The strength of Nadezhda Belenkaya’s Рыбы молчат по-испански—which is listed in English on the Elkost literary agency’s Web site as Children of Rogozhin by author Nadia Guerman—lies in the novel’s gritty, character-based observations of international adoption. Belenkaya’s close narrative tells the story of Nina Koretskaya, a promising grad student who teaches Spanish and translates: Belenkaya follows psychological and external changes in Nina’s life after she begins translating and interpreting for an adoption agent named Ksenia, who collaborates with Kirill, a Canadian citizen who seldom makes appearances. Though Children of Rogozhin is what I think of as a portrait novel and it’s a little lumpy with its tight focus on Nina, I can’t help but agree with Elkost that the book does develop into a “psychological suspense thriller,” if only toward the end. Belenkaya weaves in threads of naturalism, through horrifying stories of individual orphaned children that, along with the book’s dim view of the adoption industry, Nina’s tribulations, and Ksenia’s assertion that children are a natural resource, left me with the distinct feeling of a cautionary tale. I’ve seen little bits of adoption both as an occasional volunteer at a children’s shelter and an orphanage in Moscow, and as a Russian tutor and telephone interpreter for adopting families in my community. Which means I believe Elkost’s statement that Children of Rogozhin is based on a true story. As for plot, Nina and Ksenia frequently travel from Moscow to Rogozhin, a small city within driving distance. Nina interprets for Spanish families, they butter up local administrators, and the two become frolleagues by spending more and more time together shopping, eating out, and even snacking on chips and caviar. Of course not all is cheery: their driver has some prejudices that trouble Nina, some families are offered children with serious problems, and documents are sometimes fabricated. Things really start to go out of control when Nina and Ksenia push Kirill out of the picture; this is where the suspense, thrills, and paranoia come in. Meanwhile, Belenkaya works in passages (and these are where the book sometimes gets lumpy) about Nina’s respect for her mentor, a woman who lives in an apartment in the House on the Embankment and has a beautiful view, as well as Nina’s hope to wrote a book about Salvador Dalí. All sorts of contrasts develop: Nina’s past and present, Ksenia’s materialness and Nina’s braininess, and an overlay of honesty versus bribery and corruption. One note on the book’s Russian title, which would translate literally into English as something like Fish Keep Quiet in Spanish. The title comes from a slogan on a Cervantes Institute bookmark that Nina has kept: the slogan begins with “В Испании” (“In Spain”) but it’s the shortened version, the words used as the book’s title, that goes through Nina’s head when she lies awake at night. Two other quick notes on the novel. It has been translated into French by Maud Mabillard and published by Nois sur Blanc, as Les enfants de Rogojine. Also, Alexander Klimin of Elkost noted in a comment back in February, when the book was nominated (twice) for the National Bestseller Award, that the provisional English title was Wake Up in Winter. Ah, titles! Disclaimers: I received a copy of Children of Rogozhin from the Read Russia booth at BookExpo America, thank you very much! I have also collaborated on projects with Elkost literary agency. The Russian Booker Prize announced its long list the other day, selecting 24 of 78 novels eligible for the award. The list includes several books already on the 2014 Big Book short finalist list as well as the winner of this year’s National Bestseller award. Perhaps most interesting about the announcements I read were comments from jury chair Andrei Ar’ev, who said reading the nominees created a “слегка декадентская” (“slightly decadent”) picture of (I’ll ruthlessly summarize and generalize) contemporary literature with more fantasy, mysticism, and otherworldliness than realism. Ar’ev also noted editorial problems, such as typos and anachronisms. None of this comes as any surprise to me! Here are some of the books on the Booker long list… the shortlist will be announced October 8. Ksenia Buksha: Завод “Свобода” (The “Freedom” Factory). About a factory called Freedom that was founded in 1920 then fails in a later era; based on real events. Vladimir Sorokin: Теллурия (Tellurium). On my NatsBest long list post, I wrote: A polyphonic novel in 50 highly varying chapters. Shortlisted for this year’s National Bestseller. Vasilii Aksyonov: Моление (Praying). (part one) (part two) The name may seem familiar but this is Vasilii Ivanovich Aksyonov, not Vasilii Pavlovich Aksyonov. Vsevolod Benigsen: Чакра Фролова (The Frolov Chakra, also known as the “Kulbit” if it’s a pilot maneuver.). In which a film director named Frolov goes to Belarus in 1941 to film a high-performing kolkhoz. Anatoli Kim: Радости рая (The Joys of Heaven). A book that sounds indescribable and mystical, apparently about timelessness. Elena Kostioukovitch: Цвингер (Zwinger). A very long (220,000 words!) novel involving searches for art stolen by Germany during World War 2. Kostioukovitch, founder and creative director of the Elkost Literary Agency, draws on extensive research and her family history. Aleksei Nikitin: Victory Park. Set in Kiev in 1986. Elena Chizhova: Планета грибов (The Mushroom Planet). (excerpt) Chizhova won the Russian Booker a few years ago for The Time of Women. Gleb Shulpiakov: Музей имени Данте (Museum Named for Dante). Journalist and book trader finds diary of unknown Dante translator… I almost bought this when I was in New York in May. Sergei Zagraevskii: Архитектор его величества (His Majesty’s Architect). Elena Minkina-Taicher: Эффект Ребиндера (The Rehbinder Effect). The effect is described, stubbily, on Wikipedia here. Up Next: Probably Рыбы молчат по-испански (known in English as Children of Rogozhin). [Edit: to be clear, there is no current English translation of the book, only the provisional title.] Soon: some of the books sent by publishers that have piled up. Also, in case anyone’s wondering: I read more than half of Irina Ratushinksya’s The Odessans then abandoned the book for what I can only sum up as lack of narrative drive: Ratushinskaya creates lots of characters and situations but they feel horribly underdeveloped, very unfortunate for a book set during the Civil War. I’ve also set aside Bulgakov’s White Guard, though I want to start it all over again some day when my head is more prepared to really study the book—particularly its history and language play, which I thoroughly enjoyed—rather than just casually reading it. What can I say but “finally”?.. 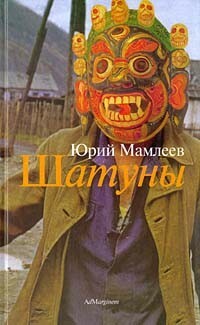 I admit I’ve been dreading, almost since I read its first pages, writing about Yuri Mamleyev’s Шатуны, a dark “metaphysical realist” novel known in Marian Schwartz’s translation as The Sublimes. In fact, I’d been dreading it so much I even considered combining two books in one post: The Sublimes and Danzig Baldaev and Sergei Vasiliev’s Soviets, which I wrote about in early May. That combination isn’t quite as crazy as it might sound: Baldaev’s grotesque caricatures offer perspectives on the soul-sucking Soviet system and one of the main characters in Mamleyev’s novel, which was written in what Mamleyev calls the “deep underground” in 1960s Moscow, is Fyodor Sonnov, who seeks souls, a process that requires death and, thus, makes Fyodor a serial killer, albeit one with rather loftier-than-usual intentions. Sonnov starts killing early in the book, all very casually, not long after his stomach has been described as his second face and not long after he’s punched someone in the jaw for no apparent reason. Sonnov knifes his victim, checks his passport in the moonlight, and then starts chatting. Like Mamleyev, Sonnov goes underground, too, both literally and figuratively, adding to a Dostoevskian mood that goes way beyond sharing a name with the writer. Sonnov stays with his sister Klava, who lives in a house near Moscow with some interesting characters: there’s Lidochka, a bug freak, and Petenka, who eats his own skin diseases. Meaning he eats himself. All of this feeds into myriad human and metaphysical mysteries related to themes like “Do I exist?” (I’ve only mentioned some of the marginally odd characters here, saving the most peculiar for readers to discover on their own. If you’re like me, you might wonder if you’re understanding things properly… Yes, you are. Some parts of this book may not be for the faint of heart...) The passages with the Sonnovs toward the beginning of the book felt almost like a mix of chernukha (dark, realistic fiction usually associated with the 2000s), surrealism, and something syntactical (I’m not quite sure what) that reminded me of Platonov, albeit without the heart-piercing beauty I find in Platonov. It’s Dostoevsky that rules, though: his portrait even appears in a reflection, complete with a firm and suffering gaze. The Sublimes lost a lot of its energy for me when Mamleyev introduced a band of intellectuals: it felt like they sucked (oops, that was initially “fucked,” a nice little slip because of one of Sonnov’s capers…) the soul out of the book. I hasten to add that my problem with the band of intellectuals is but a symptom of my own biases: I’ve long had difficulty with philosophizing characters (cf. this previous post on Bykov’s The List) because they almost always feel heavy-handed and obvious to me. That’s not to say I didn’t enjoy certain passages with some of Mamleyev’s chattier characters, particularly Anna, the “metaphysical courtesan”; there’s even a beer-drinking scene at a cemetery. Still, so much talk about the “я” (the “I”) and solipsism tends to drag almost any reading for me. That said, The Sublimes got under my skin like one of Petenka’s afflictions, coming close to making me scratch until I bled. I think I have a sense of why some readers love it so much: beyond the fact that lots of people enjoy the philosophizing I find so tedious, I have to admit Mamleyev does a fantastic job creating a world that’s both familiar and alien, a place that feels like some strange circle in some strange Soviet hell. The Sublimes is loaded with oppositions—life/death, presence/absence uneducated/intellectual, I/other—and there is, crucially, I think, a lot of laughter toward the end. Both Mamleyev’s laughter, written into the book, and mine, written in the margins. I even wrote a big “Ha! !” when Fedya hopes to kill all the metaphysicals: he’s in Moscow, in a place that seems like the foothills of Hell and he’s breathing in the smells of извращение, which feels to me like all sorts of perversion and distortion. My “Ha! !” wasn’t just because I disliked the metaphysicals. It also came from something wonderfully, hmm, ironic and unreal and realistic and maybe sublime about Fedya, who even takes pleasure in the smell of that perversion/distortion as he inhales. And so even if I didn’t always enjoy The Sublimes, I can’t help but appreciate Mamleyev’s vision and off-kilter humor, both of which I (obviously) find a little indescribable. That brings me to one last thought: I’m glad I dreaded writing about The Sublimes. As often happens, my thoughts and feelings about the book settled with time, helping me appreciate The Sublimes, a book that is, whether I like it or not, a modern classic. I’ve included some links below with other views and particularly recommend Grigory Ryzhakov’s concise description and analysis. Finally, I have a feeling Mamleyev is a writer—like Sorokin and Pelevin—I will grow to appreciate, perhaps even enjoy, far more as I read more of his books and delve further into his themes and unusual world(s). Publisher Haute Culture’s page for The Sublimes: download the bilingual book for free! Legally! [Edit!] Deluxe, custom-made, signed hard copies are available, too, for 2000 euro.